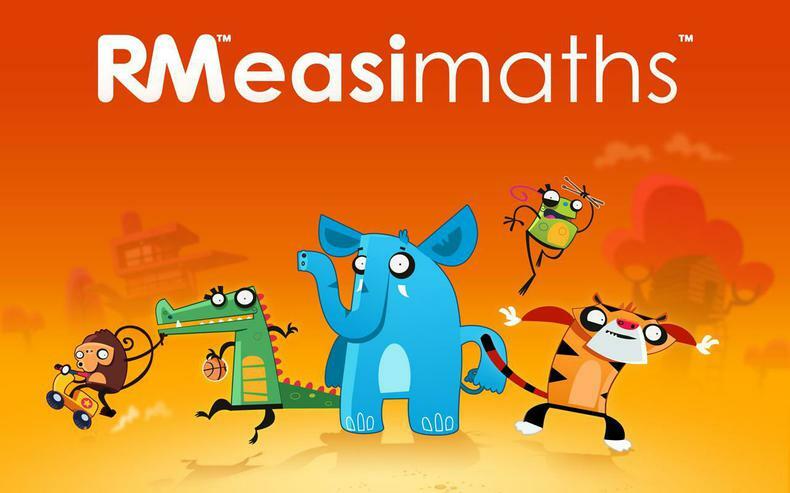 RM easimaths offers children an effective maths resource that helps teach children core maths skills in a safe, fun and engaging online environment. 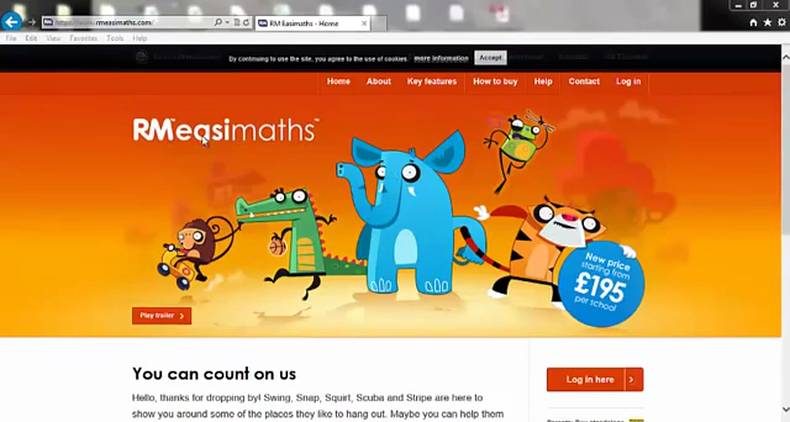 Its online maths delivery makes it ideal for anywhere, anytime learning and provides a simple platform to get parents actively involved in your childs learning in the privacy of your own home. As parents/ carers we know that getting children to do their homework can be a real struggle at times but making it fun can ease the challenge. RM easimaths isn't like other maths schemes, the fun activities and exercises are something children actually want to do, rather than feeling like they have to do it. The exercises are automatically adjusted to each child's individual ability so that homework is set to ensure it meets the needs of your child. Working independently pupils can "have a go" at tasks in the safety of their own home, removing any risk of getting it wrong in front of their classmates. The "little and often" use of the activities lends itself to short sessions spread throughout the week which keeps existing maths skills 'simmering' allowing children to move onto new maths skills/ concepts easily. The built in data collection tools gather information about each child that allows class teachers to easily assess homework to gain a better picture of progress the children have made. Although this is optional, in order to keep children wanting to participate we are asking them to complete this task for just 10 to 15 minutes per day. Overall, this will help deliver great improvements in short snapshots rather than concentrated, drawn out sessions. If you have any further questions regarding RMeasimaths, please do not hesitate to contact your child's class teacher or myself. We hope you will support us in the successful running of the scheme to help your child make the best progress.Thank you. RM EASIMATHS You will need your school number which is 199, username and password which your teacher will have sent to your parents. A 15 minute timer has been set to help pupils keep a track of their time and therefore encourage participation in smaller steps. After the 15 minutes, a small box will pop up saying ‘Your time is up!’ Do not worry, this does not mean the app or programme has frozen. It just informs pupils they have completed 15 minutes of RMeasimaths and will give them a mini report on how well they have worked. In order to have a look at this report, pupils simply need to click the ‘x’ in the circle (located at the top right hand corner) which will take them back to the homepage. Pupils can also use this opportunity to also check their position on the whole school leader board. If pupils wish to continue and do a further few sessions, then simply click ‘Start’. There is no need to log back in. Can't access RM easimaths from home? 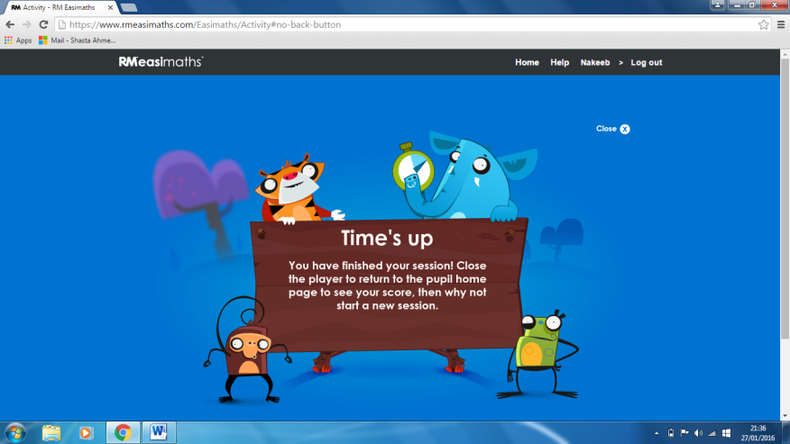 RM easimaths is now a non-negotiable homework activity. However, as a school we realise not all children will have access to the internet or laptop from home; therefore we are providing before and after school clubs to ensure these children do not miss out on such a beneficial scheme. If your child cannot complete this homework at home, please contact school for further information about signing up to the clubs.